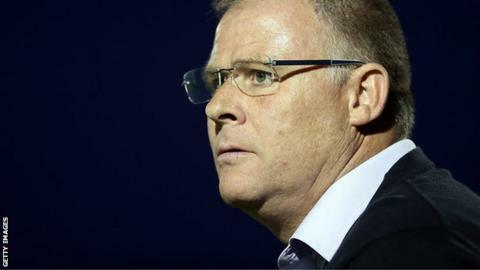 Blackpool manager Neil McDonald says there is "lots of optimism" despite his side suffering three defeats in their first four matches of the campaign. The Seasiders are 22nd in League One following their relegation last season. After losing to League Two Northampton in the League Cup, McDonald described their first-half showing as "rubbish". "We're not rubbish, as I've said before," said McDonald. "We are good - we've got to have more good for longer periods of time during the games." With 12 new signings made this summer, McDonald also expects more new arrivals into Bloomfield Road as he continues to build the squad. "We've got three or four plates spinning at the moment," he told BBC Radio Lancashire. "It does take time to try to recruit and it's taken over two months to recruit 11 players and we've done really well with that. "But we need a little bit more help to bring one or two more players in before Saturday, but if not by the middle of next week."